Two iconic brands are joining forces this Spring '15 season, J. Crew and Lacoste. The collaboration will include these special polo shirts that will be available for all ages, in a variety of colors such as white, navy, burgundy and orange retailing from $55-$98. J.Crew Creative Director and President, Jenna Lyons, and the Head of Men's Design, Frank Muytjens lead the selection process and have chosen LACOSTE to be part of their “Looks We Love” seasonal section in the J. Crew website. Lacoste is keeping it classic by retaining their logo version from 1983 which is generally blue with a LACOSTE cursive font within the iconic crocodile. 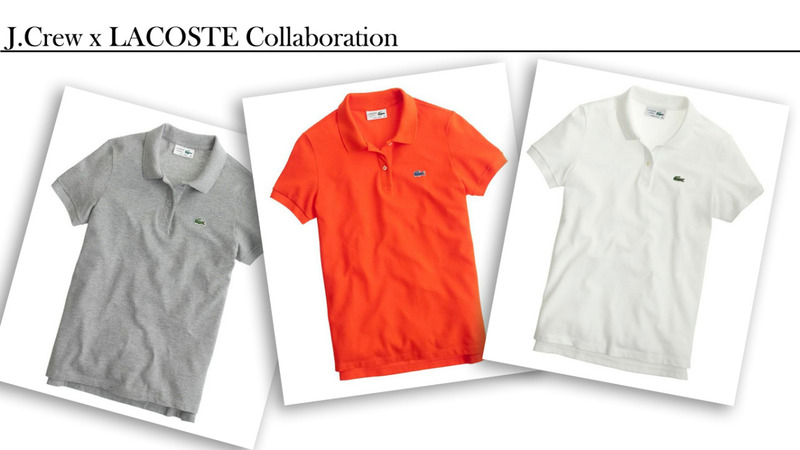 To view and shop the J.Crew x LACOSTE collection, click here.